I’mmmmm baaaaaack! Did you miss me? Did you notice that I was gone? Wait, don’t answer that. I would be devastated if no one noticed that I was gone for a whole week. I was in Coeur D’Alene, Idaho for the past week and absolutely loved it!! I love trees, and mountains, and big giant lake that is just down the road. What I don’t love? Verizon internet!! I was basically cut off from the world while I was gone. The internet was soooo slow that it continually stalled and I could only have one screen open at a time! So I gave up and decided to just hang out by the lake instead. I really wanted to get an awesome sunset shot at the lake, but it was overcast the last 3 days that I was there. 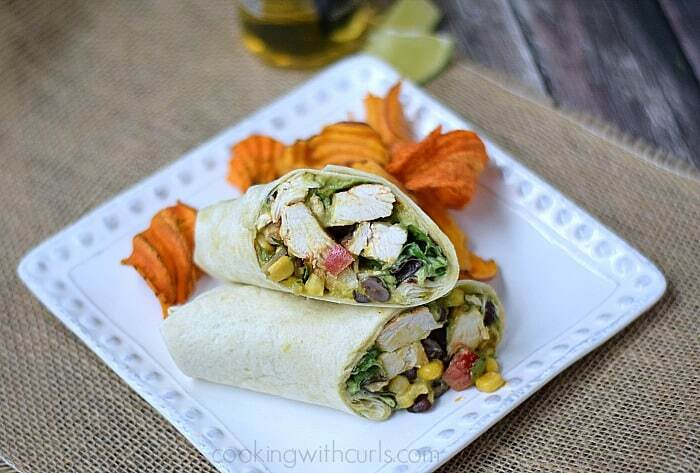 How about some delicious Southwest Chicken Salad Wraps? I love these wraps!! I make them all the time. They are so simple and versatile, and everyone loves them. 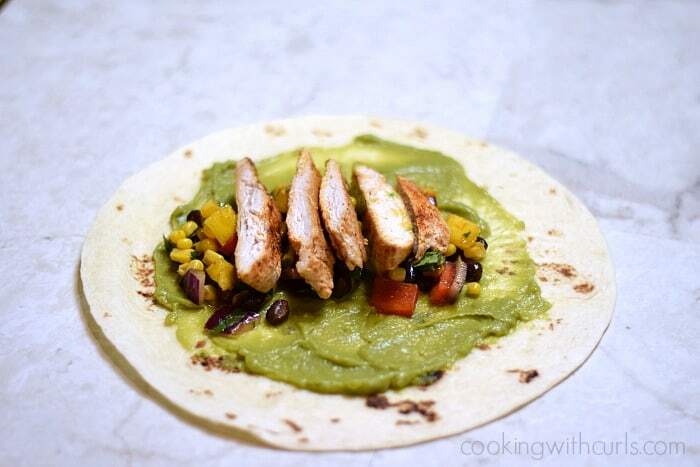 If you’re in a hurry, you can use rotisserie chicken and packaged guacamole. But today, we are making them from scratch…and you will be so glad that you did. 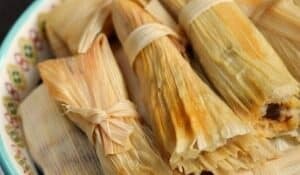 Let’s start by preparing the Southwest Chicken…..
Now roll your tortillas in plastic wrap (I needed 4), and heat in the microwave for 45 seconds or so…..
Take one tortilla and place it on a plate. 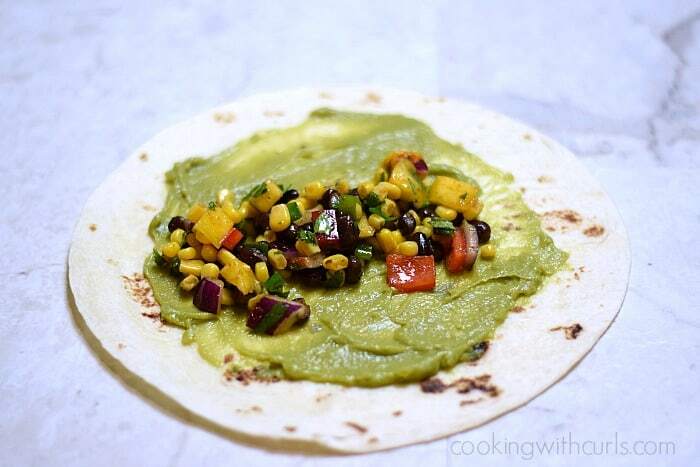 Spread with Guacamole…..
and Black Bean Salsa with Mangoes. 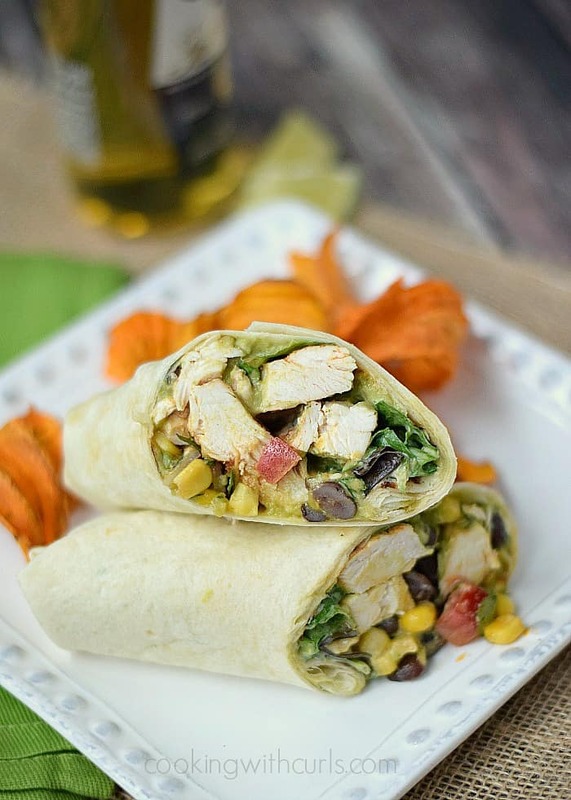 Now add your sliced Southwest Chicken…..
then the lettuce and Homemade Ranch Dressing…..
Now fold in two of the sides, then grab the third side and roll up like a burrito…..
Change up your weeknight routine with these Southwest Chicken Salad Wraps. 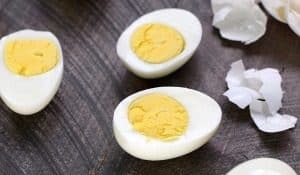 Quick and easy to prepare, and everyone in the family will love them! 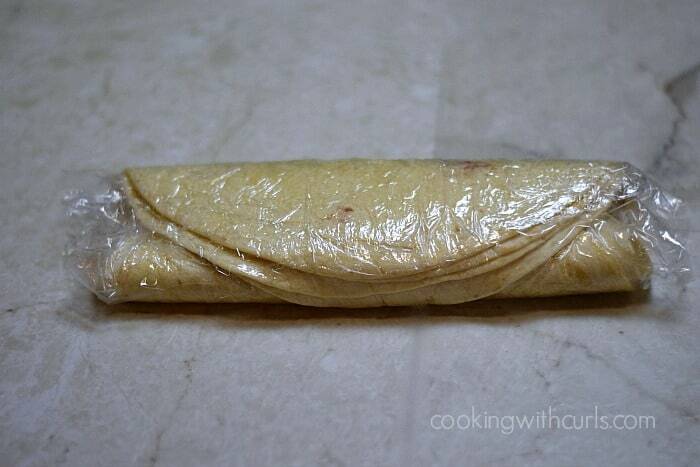 Wrap tortillas in plastic wrap and heat in the microwave for 30 to 45 seconds. 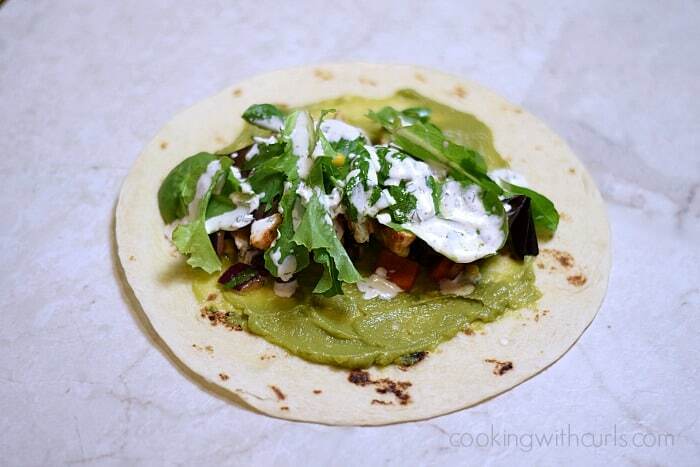 Place tortilla on plate and spread with guacamole. Top guacamole with black bean salsa, sliced chicken, lettuce, and ranch dressing. 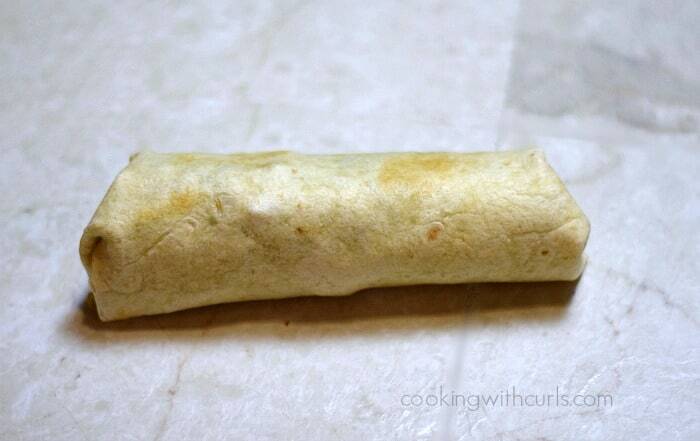 Turn in each end and roll up the sides and serve. 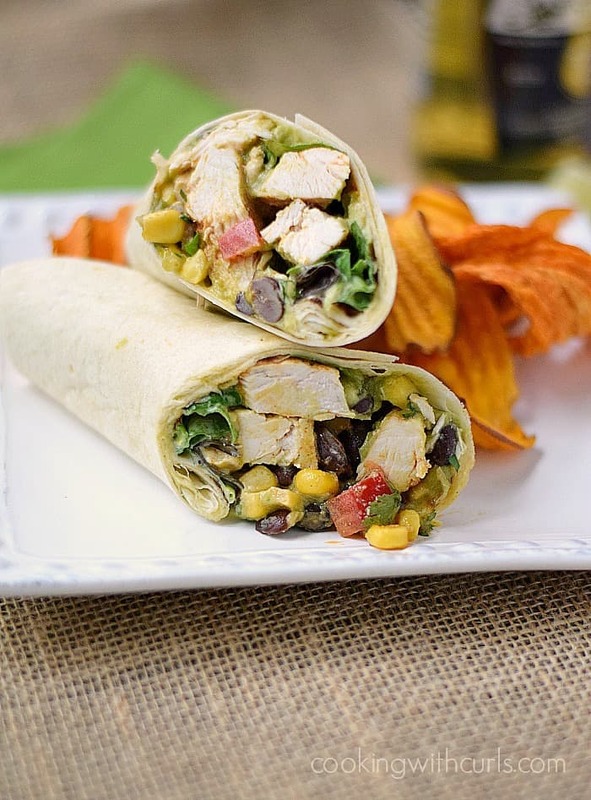 These wraps are the perfect way to use up leftover rotisserie chicken. This recipe was written for one serving to make it simple to explain. You can make as many as you like! Lisa, this wrap looks absolutely delicious! 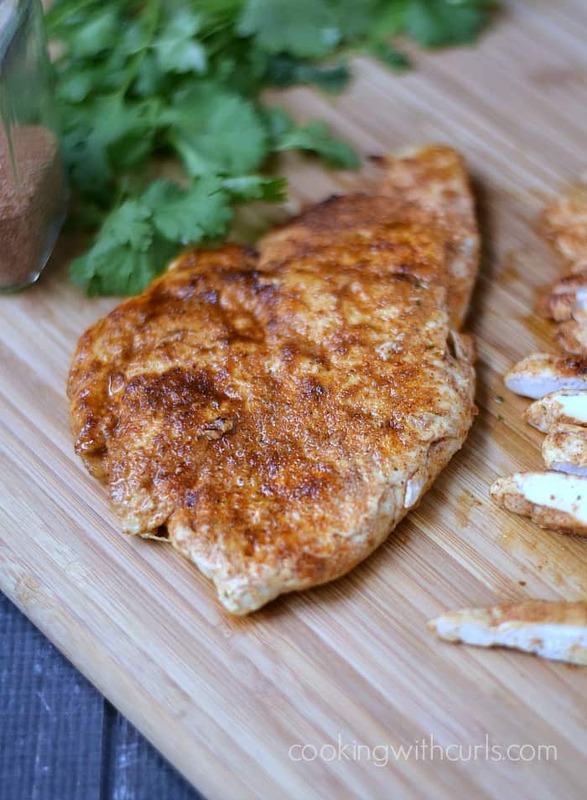 Not only would this be great for dinner but I love it for lunch to – always need a fresh non-boring lunch idea! 🙂 Thanks for sharing and pined – happy Monday! 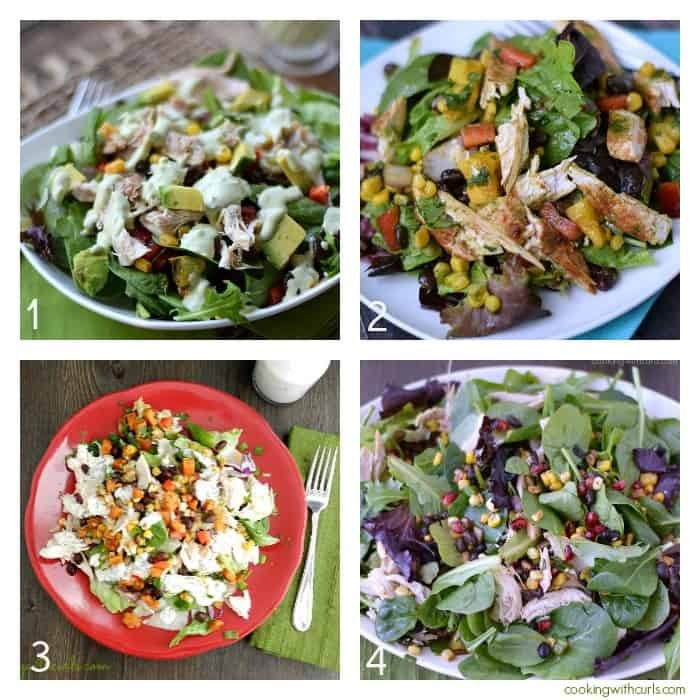 These chicken salad wraps look so delicious! I love wrap sandwiches and am always looking for new ones to try! 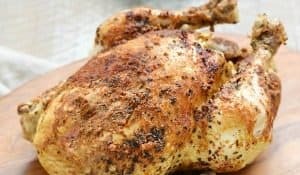 Just that photo of the chicken alone makes me hungry. I love the versatility of this recipe. You could certainly serve this to a crowd, which I love! Thank you Seana! You’re right, the recipe is a bit deceiving. It makes waaaaay more than just the 4 wraps, LOL I should probably fix that! Thank you Jamie, I did have a wonderful time! 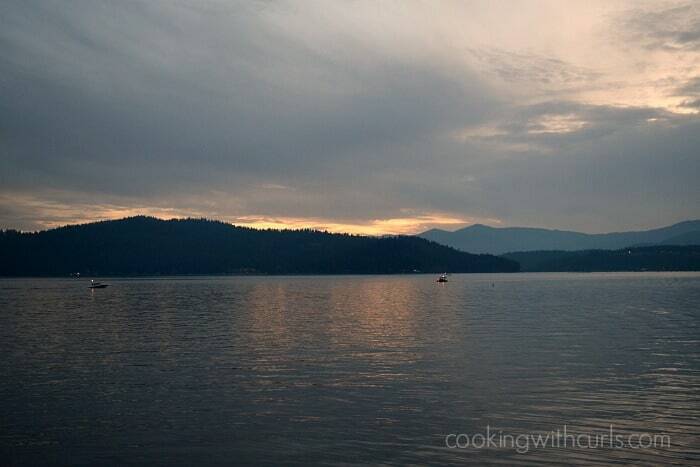 Lisa, I absolutely LOVE it up there in Coeur D’Alene! The trees are so gorgeous. You will have to go up one year on Christmas or in July when all of the (very pricey and elegant) wooden boats are on display at the marina. Very breathtaking… especially when the Christmas lights all decked out on them! 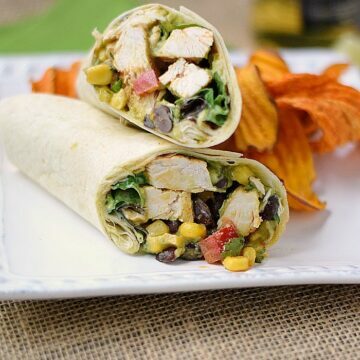 Loving your southwest versions of everything… definitely making these wraps! That sounds awesome Gloria! My parents won’t be there for Christmas this year, maybe next year I’ll be able to go for Christmas. 🙂 If I hadn’t been sneezing the entire time I was there, I would have moved there. I love the trees and mountains!! Haha, that’s what I thought Cathy. 🙂 Thanks so much! !